Pinhole Press has the tools you need to create your child’s custom board book. A user-friendly online template allows you to upload your photos, drag and drop them into place and then customize your text. 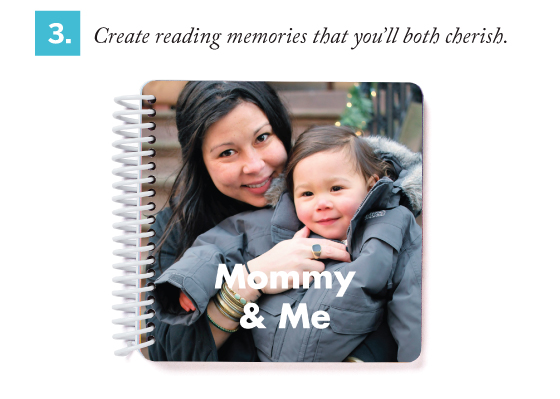 Add or remove pages as needed, and the result is a personalized board book designed with your child in mind. Creating your child’s board book is easy. Start by collecting family photos to teach your baby who’s who and encourage family bonding. Upload your photos from your computer, Facebook or Instagram and then drag & drop your photos into the Mini Book of Names and Faces. 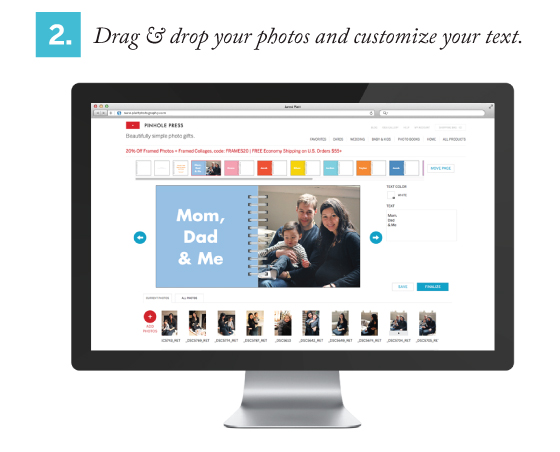 Next, customize the text next to each photo with a family member’s name. Add and remove pages to personalize a board book that will be unique to your family. Your book can include photos of family, friends and favorite toys to build your child’s vocabulary. Many babies will begin to match objects and faces with names between 11 to 14 months. This is a beneficial time to bond with your baby and introduce a life long love of learning. The Mini Book of Names and Faces is a great gift for a baby who has family members spread out across the country or the world. See how kids are using this custom board book to learn family names on our Mini Book of Names and Faces Pinterest board.